In their native countries, couples are often limited by the constraints of a wedding budget. However, an increasing number of couples are heading to the Kingdom of Thailand to say their vows in order to stretch their cash a lot further. While the Kingdom is home to a generous number of world-class resorts, many couples are opting to tie the knot in a private holiday villa. Due to the different cost of labour and property in the Kingdom, the villa option is surprisingly affordable and offers the bride and groom-to-be a lot more for their money. Thailand is one of the front runners in today’s global tourism market, and it’s balmy, tropical climate is one of the main reasons why. The Kingdom is an ideal choice for brides and grooms that don’t want their wedding celebrations to be interrupted by a sudden downpour, as weather patterns are a lot more predictable than in other destinations. 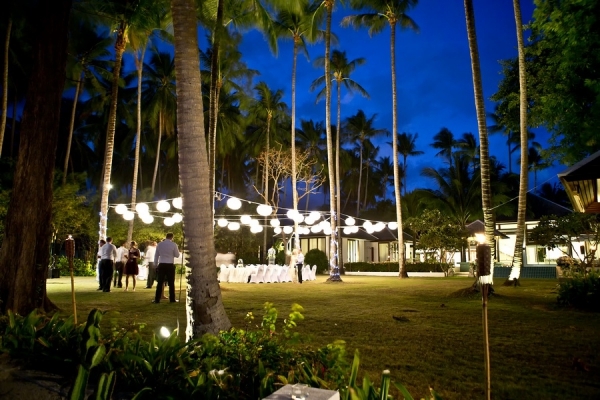 While Thailand boasts golden sunshine for 80 percent of the year, popular island wedding destinations like Phuket and Koh Samui do have short rainy seasons (at different times), so it’s worth doing your research if you really want to avoid the showers. Once couples have decided to tie the knot in the Land of Smiles, the next step is selecting a reputable wedding planner who can guide them through each step of the planning process. The wedding planner will be able to advise couples on the best venues, catering options and entertainment choices and organise everything before the couple even arrive in Asia. 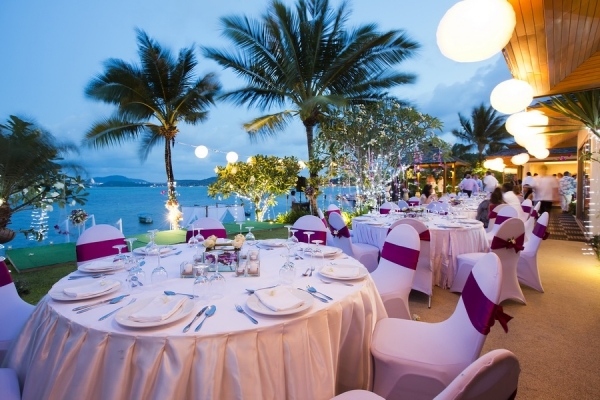 Wedding planners on islands like Koh Samui and Phuket also have a long list of useful contacts that include florists, DJs and hair and makeup artists so they will be able to source the best deals for the bride and groom. 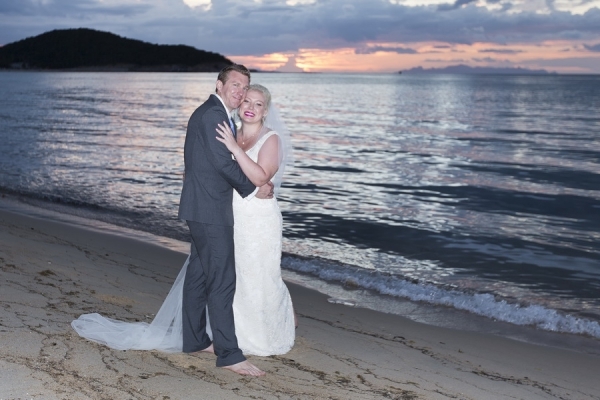 As well as being an ideal location to host your destination wedding, Thailand is also the perfect place to enjoy a romantic honeymoon. Whether you want to explore the stunning underwater marine landscape off the coast of Koh Samui or the striking mountain scenery of Phuket, Thailand has something for you to enjoy. Couples that want to turn up the romance a notch within the comfort of their private villa can arrange for a personal masseuse so they can indulge in a couples’ spa treatment at home. Alternatively, those who want to make the most of the villa’s fabulous facilities can throw a pool party for wedding guests to share the holiday atmosphere.